House Republicans have introduced a bill that, if passed, would set in motion the United States’ withdrawal from the United Nations. According to NBC, Alabama Congressman Mike Rogers initiated this proposal, called the “American Sovereignty Act of 2017” or, to be more technical, H.R. 193. It was brought to Congress at the start of the new year—January 3, 2017—and referred to the House Committee on Foreign Affairs that same day. 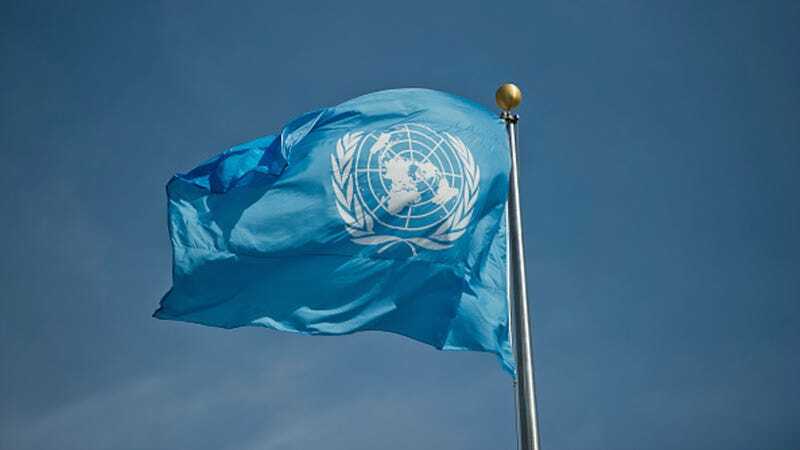 The bill articulates its purpose baldly: “To end all membership of the United States in the United Nations.” Doing so would mean repealing the United Nations Participation Act of 1945, enacted just months after the end of World War II. But that, of course, is precisely the aim. “The President shall terminate all membership by the United States in the United Nations in any organ, specialized agency, commission, or other formally affiliated body of the United Nations...The United States Mission to the United Nations is closed. Any remaining functions of such office shall not be carried out” reads H.R. 193. Abidingly, the U.S. headquarters for the United Nations would be shuttered as well. The bill, which methodically and antiseptically details America’s complete extrication from this global organization, moreover includes a provision repealing the United Nations Environment Program Participation Act of 1973. Should the bill be signed into legislation, it will come into effect exactly two years later. Our withdrawal from the United Nations would, to say the least, be an egregious mistake founded in nationalist hubris and the deprecation of international fellowship. You can read the entirety of H.R. 193 here, and refer to this page to locate your representatives’ contact information. Note: It is true that Congress has put forth versions of this bill before and, obviously, they have not passed. But the GOP is likely encouraged by our new xenophobe-in-chief, who has called the organization “a waste of time and money.” And post-January 20, does any terrible thing seem totally impossible?